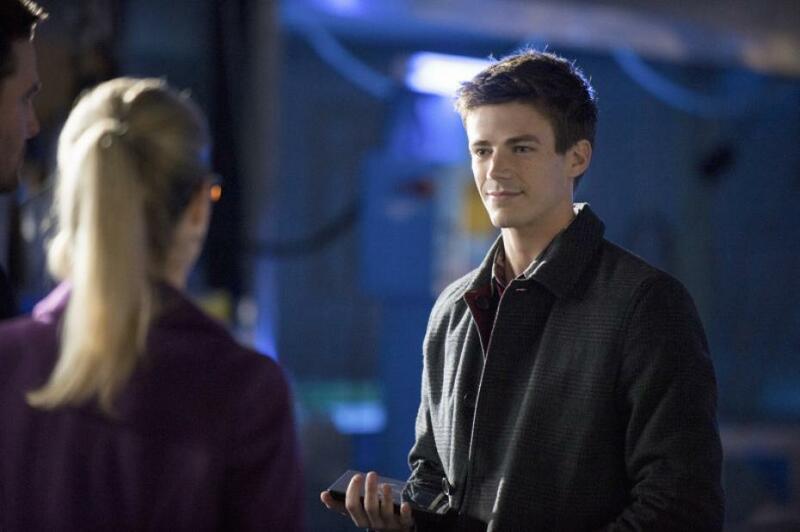 In the Arrow Season 2 Episodes 8 and 9 we meet Barry Allen for the first time. At this stage he is still just Barry and not The Flash so its quite weird to see him like this. But someone takes a big liking to him as soon as she sets eyes on him and they have something in common…Science. Lucky Barry manages to land a date and a dance with the Smoaking hot Felicity…Well way before Oliver Queen ever dates her. So he was fast even before he got his powers.. So before Iris West there was Felicity and to be honest she seems more his type..but different cities, different secrets and different lives maybe its not meant to be. The funny scene in the crossover is when Barry just narrowly misses his train back to Central City…because we know as the Flash there is no way he would miss the let…actually as The Flash he wouldnt even need a train! Head over to the site below and get watching!